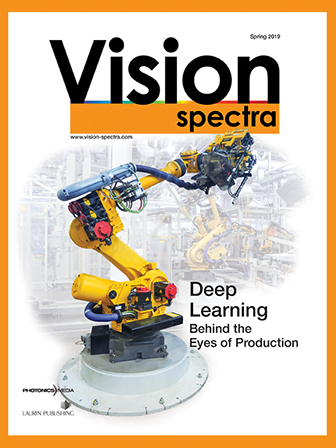 A Shakeout for Machine Vision OEMs? Ronald Mueller is an expert in the global machine vision industry, with a Ph.D. in computer vision and machine learning. Based on his technical know-how, his experience as a corporate executive, and his first-hand experience in machine vision sales in Europe, North America, and China, he founded the consulting firm Vision Markets in 2014. He, his team, and the Vision Markets Network of experts are dedicated to making businesses thrive in this globalized growth market of machine vision; email: r.mueller@markets.vision. The commoditization of machine vision components is eroding prices and shrinking profits. The playing field is getting a lot rougher for smaller OEMs, which leaves them with a handful of alternative strategies for surviving and thriving. The past 10 years have been the glory days. Sales of machine vision cameras grew at well over 10 percent year over year. In 2017, my company, Vision Markets, estimated that global sales volume of machine vision cameras (without code readers) for 2019 would be 2.6 million units, an estimate that still seems appropriate today. In the days of CCDs, selling points included minimum noise through elaborate analog design or overclocking the sensor readout, as well as the stability of the USB 2.0 or FireWire interface, or the maturity of the software API. With the advent of CMOS global shutter image sensors, challenges shifted from analog design and analog-digital conversion to ironing out artifacts of production instabilities, shutter inefficiencies, and suboptimal readout designs in the new CMOS sensors. However, especially with high-end sensors, these effects are now minor, and the complexity of eliminating them is incomparably lower than getting an excellent image out of a CCD. On the other end of the camera, too, invaluable initiatives for standardization, such as GenICam, GigE Vision, and USB3 Vision, have made the cameras literally interchangeable, both physically and on the software side. Ultimately, most camera OEMs developed their designs with a 29- × 29-mm footprint and gave them a C-mount and a 6- to 12-pin I/O port. All these aspects dramatically simplified, accelerated, and lowered the cost of the design of vision systems, making machine vision what it is today — a technology without which modern manufacturing processes would not be imaginable. Yet, for camera manufacturers, there is a downside. OEMs are seeing fewer and fewer opportunities to differentiate themselves from the competition. Customers can hardly see any difference anymore between machine vision cameras of different brands that come with the same sensor and the same interface. There are actual differences — in the accuracy and precision of the sensor-mount alignment and the functionality of the I/O hardware, in the firmware, color image pipeline, stability of the software driver, in SDK features, and in production consistency. For most customers, however, making a purchase decision between cameras from dozens of different manufacturers with 90 percent identical datasheets comes down to one factor: price. The vast majority of OEMs are now faced with having to devise strategies to survive and thrive in an era of commoditization, with its inherent price erosion. In my experience, there are generally five business models designed to do that. Most OEMs are already adopting more than one of them, or will soon be. Though this phenomenon applies to a wide variety of machine vision product categories, the following analysis focuses on the example of cameras. The most obvious yet most difficult strategy for tackling price erosion is to bring down the total cost per unit — while maintaining profitability. However, the required cost reduction can only be achieved by increasing production volume, which obviously should be preceded by increasing sales volume. Basler, for example, has a market share of about 20 percent in shipped machine vision cameras, and has strong leverage to reduce its cost per unit — by negotiating with the suppliers of image sensors, field-programmable gate arrays (FPGAs), connectors, enclosures, and other price drivers. All processes — from purchasing, logistics, manufacturing, to sales — can be cost-optimized without compromising on quality. OEMs that have a high camera-production volume in other imaging areas, such as Hikvision, are also benefitting from similar advantages. The required level of process optimization, however, naturally reduces flexibility, leaving room for basically just a portfolio of standard products. Manufacturing greatly customized versions of those standard products would ruin the efficiency of the processes. With the features and the performance of modern image sensors and camera interfaces, and their attractive price point, commodity machine vision cameras are the first choice for at least 80 percent of today’s machine vision applications — unless the features of a specialized, customized, or higher-integrated camera solution bring higher performance or reduce system costs. Under this assumption, 80 percent of the global market for camera units will be split among two or three manufacturers that have high production volumes and therefore can live with low sales prices. For the rest of the manufacturers who compete for the remaining 20 percent of the market, alternative strategies will be required. Customization services around a standard camera portfolio already account for the majority of the turnover and profit for most machine vision camera OEMs today. Although customers tend to stick to choosing standard options whenever they can, the reasons they may opt for a customized camera are manifold: Some just want differently colored or additional LED indicators in the camera, others have special space constraints and need the printed circuit boards (PCBs) and/or the enclosure in a specific shape, and yet others want special triggering and I/O functionality. The list goes on. Once a camera OEM has used customization to win a customer, they can usually rely on having recurring business at an attractive margin over many years, as the customer cannot easily change to another vendor. However, with the engineering presales services involved, the average upfront sales effort is high and sales cycles are lengthy. Mass-produced commodity cameras need specifications regarding image sensor resolution, speed, and price — as well as a common interface — to make the cameras applicable in a large variety of applications for many customers. Since the one-size-fits-all approach has its limits, this leaves niches open for vendors to offer a specialized feature set. High-speed and high-resolution cameras are far from reaching the sales quantity levels of 5-MP cameras with a $7 CMOS rolling shutter sensor, and therefore they can escape the commodity trap. With growing competition between players such as MIKROTRON, Vieworks, ISVI, Optronis, PCO, and others in this market segment, however, price erosion is already noticeable. Beyond that, niche-focused cameras — ones that offer an especially small design, that are lightweight, have low power consumption and mechanical, thermal, or chemical robustness, that have integrated lens control and top-graded image quality via preselected image sensors — can win against commoditized versions when customers have unique operating requirements or constraints. Hosting a portfolio of specialized cameras for a niche in which commodity cameras are not an option is a fairly good strategy for preserving market share. However, the entry barrier into such niches is usually low, so the more attractive the niche, the more players need to monitor and prepare for new competitors. Another very promising growth strategy is to enhance standard cameras by integrating features that would otherwise require additional hardware and software and considerable development effort. Classic examples of such upwardly integrated systems include smart cameras with integrated image-processing capabilities, lenses, and illumination, as well as bar-code, QR-code, and OCR readers, stereo cameras, and 3D laser-profilometry scanners. With thorough investigation of customer needs in different target markets, feature-rich modules can be tailored to specific needs and help create outstanding products for the sustainable growth of today’s standard camera OEMs. One specific example: In logistics, parcels of different sizes need to be scanned at varying distances and at high speeds. IDS Imaging Development Systems GmbH of Obersulm, Germany, presented a solution for this scenario at Vision 2018 last November. They integrated a fast-focusing liquid lens, its electronic control, and a time-of-flight (TOF) sensor to rapidly measure the distance of a parcel and thus the required focus. By doing so, they’ve created a product that outperforms any combination of a commodity camera with a separate lens, TOF-sensor, and control electronics. Despite a current slowdown, the positive long-term growth of the machine vision market will not end anytime soon. Still, the commoditization trend makes it increasingly hard for small companies to defend their stakes, maintain healthy profitability, and prepare for even small ripples in the global economy. One survival strategy is to use mergers and acquisitions to create larger companies that are better able to spread risk over several regions, industries, and customer groups. This explains why there has been so much market consolidation over the last two years. Three types of deals have been popular. The first takes place when a major machine vision customer, such as the industrial automation company Balluff, wants to integrate down the value chain, in this case by purchasing the camera OEM MATRIX VISION as an in-house supplier. OMRON followed the same approach when acquiring Sentech, just as Rockwell Automation did by buying TOF camera maker Odos Imaging. In the second type of acquisition, large enterprises seek to bring complementary technologies to their existing business. This occurred when FLIR integrated Point Grey Research and Teledyne acquired DALSA, e2v, Lumenera, and other imaging companies. The final type of acquistion is driven by strategic private equity investors, such as Ambienta and the TKH Group NV, where the latter has absorbed six machine vision OEMs by now — Allied Vision being the best known. The combination of several OEMs that have complementary portfolios, each comparatively small by itself, allows for leverage in sales and operations and it enables the development of new offerings for large customers who would not consider collaborating with a small stand-alone company. In its most recent acquisition, TKH paid 15× the value of its target’s annual profit — a highly attractive level for the seller. The bottom line is this: The commoditization of machine vision components that is eroding prices and shrinking profits for OEMs will especially affect the machine vision camera market. But smaller machine vision companies of any kind should prepare for major market changes in the first half of the next decade and not be lulled by currently well-filled order books and fond memories of the past 20 carefree years when there was always more than enough business for everyone. The views expressed in ‘Field of View’ are solely those of the author and do not necessarily represent those of Photonics Media.